Top Rated Top Reviewed Dealership In Beaverton, Or. Super Low Miles! Clean! 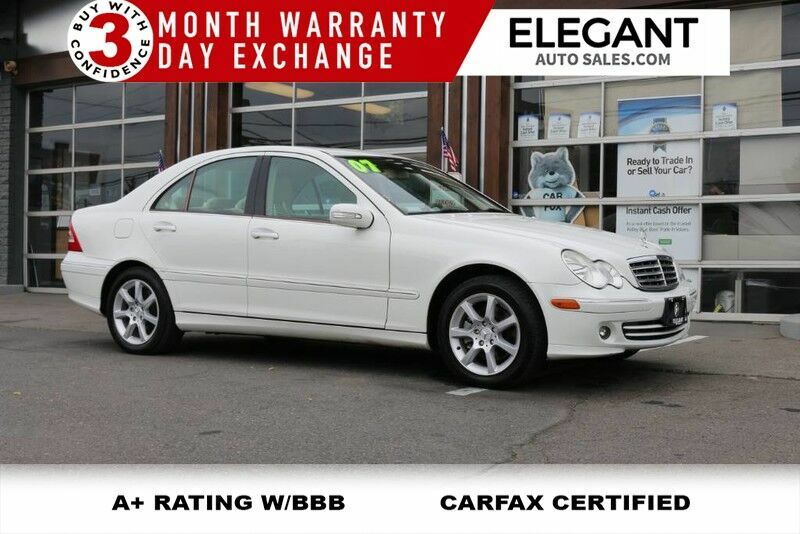 2007 Mercedes Benz C280 Sedan - Only 74k Miles, Keyless Entry, All Power Options, AC, Cruise Control, Automatic Headlights, Power Seats W/ Memory, Leather Seats, Power Moonroof, AM/FM/CD Stereo, Steering Wheel Mounted Audio Controls, Bluetooth Handsfree, Automatic Dual Zone Climate Control, Auto Dimming Rear View Mirror, Universal Garage Opener, Power Rear Sunshade, Alloy Wheels, Fog Lights....Buy With Confidence - 3 Month Powertrain Warranty & 3 Day Exchange.